The Women In Trucking Association is pleased to announce the renewed Gold Level Partnership with BMO Transportation Finance and the continued service of John Dietze, Senior Vice President of Dealer Sales on the board of directors. Diversity is one of our core corporate values, and those values help us pursue our vision: to be the bank that defines great customer experience. 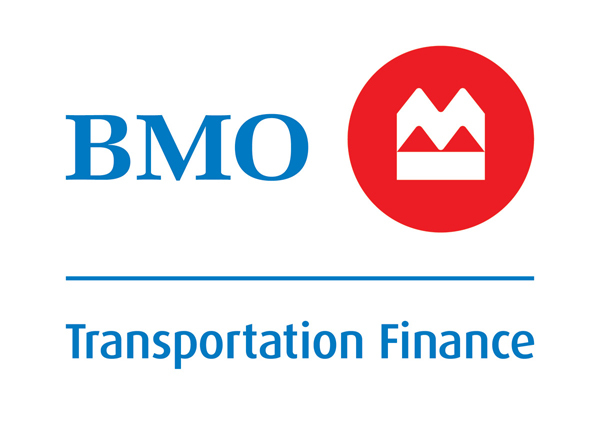 The Women In Trucking Association (WIT) is pleased to announce the renewed Gold Level Partnership with BMO Transportation Finance. John Dietze, Senior Vice President of Dealer Sales currently serves on the board of directors and has recently been appointed to serve as a director on the WIT Foundation. Dietze is the Dealer Sales Leader for the Transportation Finance group within BMO Transportation Finance, which serves all aspects of the U.S. transportation industry including manufacturer, dealer, and end user with a product offering that includes wholesale, retail, and leasing. John began his career with The Associates in 1985 (acquired by Citigroup in 2000) and held a number of positions within the business including operations, risk, and sales prior to moving into his current senior management position in September of 2011. In 2015 WIT held its first Accelerate! Conference & Expo, the industry’s foremost event to focus on women in the trucking industry. This year’s conference is scheduled for November 6-9 in Dallas, Texas. BMO Transportation Finance located in Irving, TX and is one of North America's leading providers of truck and trailer financing. BMO Transportation Finance provides retail financing which includes customized leases and secured loans as well as wholesale financing to the commercial truck and trailer dealer network in the U.S. and Canada. For more information, visit http://www.bmotf.com. BMO Harris Bank provides a broad range of personal banking products and solutions through more than 600 branches and approximately 1,300 ATMs in Illinois, Wisconsin, Indiana, Kansas, Missouri, Minnesota, Arizona and Florida. BMO Harris Bank’s commercial banking team provides a combination of sector expertise, local knowledge and mid-market focus throughout the U.S. For more information about BMO Harris Bank, go to the company fact sheet. Banking products and services are provided by BMO Harris Bank N.A. and are subject to bank or credit approval. BMO Harris Bank® is a trade name used by BMO Harris Bank N.A. Member FDIC. BMO Harris Bank is part of BMO Financial Group, a North American financial organization with approximately 1,600 branches, and CDN $699 billion in assets (as of January 31, 2016). Women In Trucking Association, Inc. is a nonprofit association established to encourage the employment of women in the trucking industry, promote their accomplishments and minimize obstacles faced by women working in the trucking industry. Membership is not limited to women, as 17 percent of its members are men who support the mission. Women In Trucking is supported by its members and the generosity of Gold Level Partners: Bendix Commercial Vehicle Systems, Daimler Trucks North America, BMO Transportation Finance, Great Dane Trailers, J.B. Hunt Transport, Ryder System, Inc., U.S. Xpress, and Walmart. Follow WIT on Twitter, Facebook, or LinkedIn. For more information, visit http://www.womenintrucking.org or call 888-464-9482.